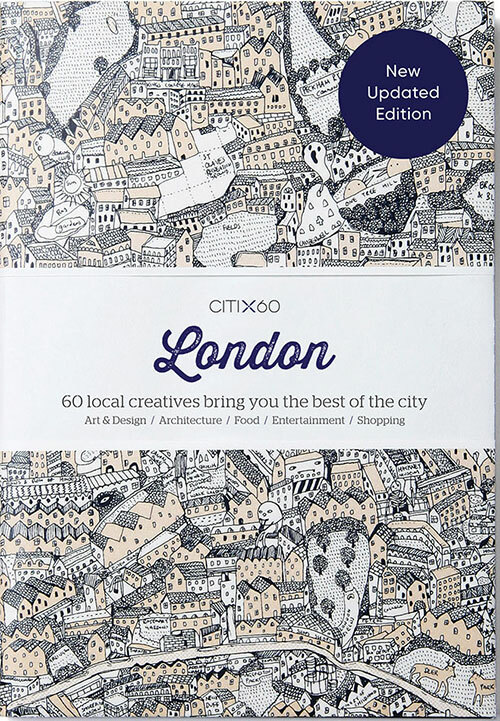 Newly updated for 2018, CITIx60: London is the essential guide for creative travelers. The sixty locations, activities and sightseeing opportunities within include may of your favorites from the previous edition, plus a handful of brand-new attractions. Chosen by local artists, designers and trendsetters, these selections offer up experiences a step beyond the general tourist fare. The attractions are split into five categories: landmarks & architecture, culture & art, shopping, restaurants & cafes and entertainment & nightlife. With CITIx60 as your guide, you’ll see the city with a whole new set of eyes. This updated edition features contributions from locals Richard Scott, James Joyce, David Saunders, Build, Is Tropical, Angus MacPherson and Andy Harvey, and includes such new attractions as Skylon, Bob Bob Ricard, Village Underground and more.